by Melissa A. Petreshock . Audience/Genre: New Adult Fantasy Romance. Publication: April 29, 2014 by Swoon Romance. Following the death of her uncle, twenty-one-year-old CAITRIONA HAYDEN finds herself in the midst of a trio of quintessential alpha male suitors in 22nd century sovereign America where human females should be seen and not heard. 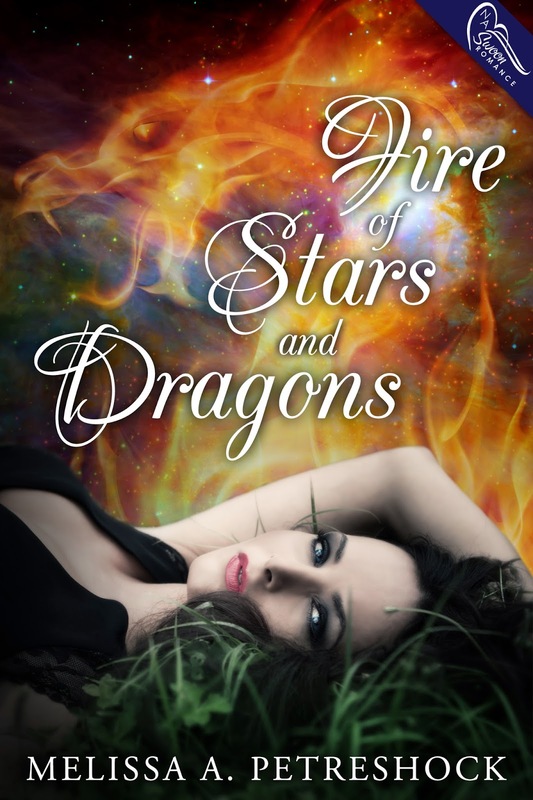 Theo Pendragon claims her as his ward, ordained to guard her through to a long-awaited destiny unbeknownst to Cait, but finds more than he expected when passion ignites within the dragon for the first time. Always drawn to the pursuit of knowledge rather than the heat of desire, powerful demigod Dante cannot deny everything his future holds in Caitriona. America's monarch, ancient vampire Corrin, has no interest in the frivolity of love, yet marrying Cait could be the answer to his continued survival. Soon, Cait goes from studying for college exams to choosing a husband knowing the consequences are eternal, the love undying, and the bond timeless. Melissa lives on a small farm in rural Kentucky with her genius husband, exceptional children, and their feline overlords. When not inhaling or exhaling words, she subsists on unnatural doses of coffee, sarcasm, and music. To date, no dragons have been found in the woods surrounding her house, but she continues to hold out hope. Thanks for participating in my cover reveal!